These days, a lot of video games have legacies built around them, with a few of them getting their start in the 2000’s generation of gaming. But there are very few that still resonate with gamers the way Halo does. Over the years, the saga of Master Chief has become one of Microsoft’s biggest franchises, and with each new debut on a console, it’s created an even much bigger Halo fanbase, with people diving into both the single player campaign and the multiplayer, which has only gotten better with age. Some would argue that Halo’s golden era is over, with Guardians doing great work with the franchise, but not quite as “legendary” as when Bungie was in charge of it. 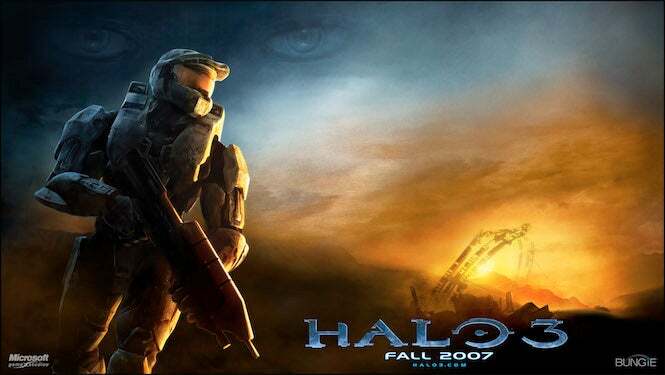 And no title seems to come up more than Halo 3, which came out on this day in 2007 – yep, Halo 3 is ten years old. There could be some arguments as to why the other games rock our world, but let’s talk about how Halo 3 changed the game for Microsoft, and eventually became the best game in the series. The game was officially announced back in 2006 during Microsoft’s E3 presentation, in the midst of what it was setting up for its Xbox 360. A cxinematic trailer, which you can see above, set the stage for what players could expect from the game. Bungie put a number of features into the game, including an increased expansion in visuals (using a new in-house graphics engine), 5.1 surround sound and other nifty features that would take advantage of the hardware. The team had a number of talented people on board, including Marty O’Donnell, who composed the soundtrack alongside a 60-piece orchestra and a 24-piece choir…which may explain why the music score is so epic. So the pieces were in place for creating the next big step in Halo. What could Microsoft do from here? Plenty. To help promote its mega-sequel, Microsoft actually spent a good deal of money with its marketing – about $40 million. This included TV and online ads, in an effort to tell gamers, “Hey, Master Chief is back!” Of course, they already knew with their pre-orders of the game completely intact, after checking out the multiplayer beta that was originally offered with the purchase of the action game Crackdown (which no doubt helped contribute to its overall sales). Halo 3 was rarin’ to go on the 25th of September back in 2007, with an estimated 4.2 million units in retail stores – an unprecedented number for the time. But the gamble paid off big time for Microsoft, as the game managed to sell enough copies to generate $300 million, making it the largest entertainment launch in history at the time. Halo 3 obviously follows the events of what occurred in Halo 2, with Master Chief crash landing somewhere in Africa, where he is soon found after by Johnson and the Arbiter. Following that, a series of events unfold involving both the Covenant and the Flood, enemies that are quite common within the game’s universe. 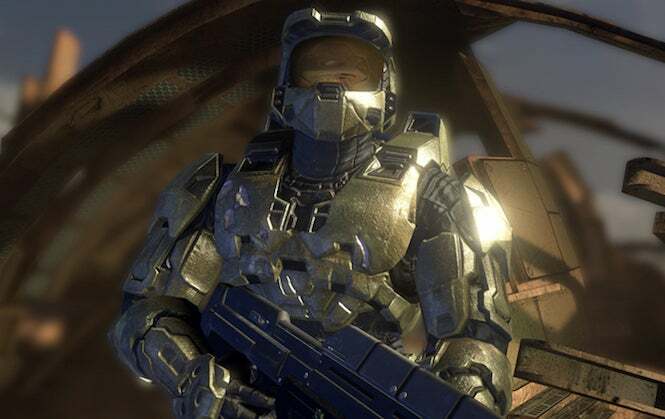 The story has quite a lot of opportunities to get into epic battles, which Master Chief is more than happy to oblige in, and that’s part of what makes Halo 3 so special. It doesn’t go overboard, but it does exactly what it needs to do to move the series forward. Plus, it saves something special for those that complete it on Legendary difficulty, though we dare not spoil it here. Another great feature involving the campaign was that you could play it with friends, with up to three players through either Xbox Live or System Link. It’s a move that paid off greatly, as it made it more fun to face off against epic enemies – and even steal a Warthog or two. Oh, and how great is it to dual-wield? Shooting and stabbing with a plasma sword. Please and thank you. Throw in bonus goodies (like the hidden skulls) and you have a campaign that’s still worth revisiting after all these years! 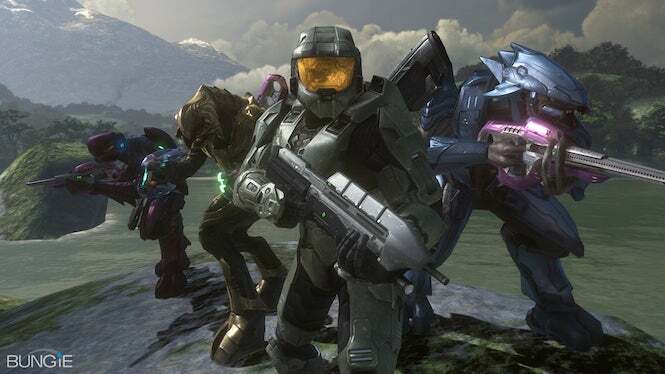 Multiplayer had become a staple with the Halo franchise, and with Halo 2, Microsoft proved that it could back it with the necessary support to build up the community. But that would pale in comparison to Halo 3, as Bungie would stack the deck so much with features and additional maps that it would bring the game to explosive new heights. The game supported up to sixteen players in multiplayer matches through both Xbox Live and LAN set-ups, making it the ideal party game for those of you willing to lug your Xbox 360 systems around. 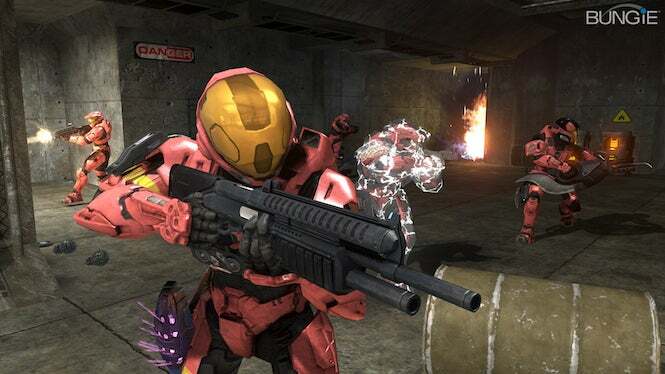 There are a number of great modes introduced within it, like deathmatch and Capture the Flag, that would continue to become staples in the Halo community. Oh, and the Matchmaking tool is pretty cool, setting you up with players of equal skill – so “noobs” don’t automatically get fed to the veterans. The game also brought in Forge, a map-editing tool that would allow you to make modifications on multiplayer maps, including moving around precious weapons, vehicles and interactive objects. This would become another part of the Halo universe, with players diving into it in droves. 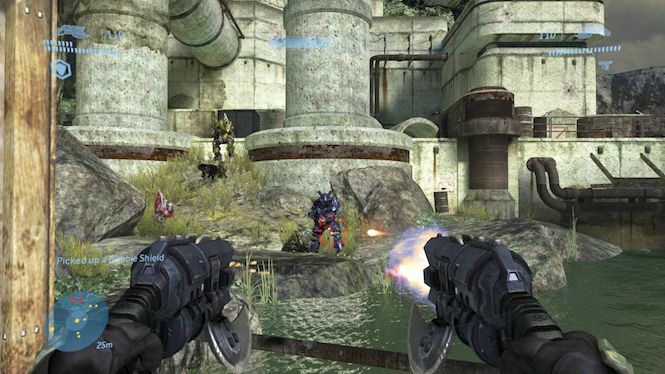 In addition, players could also capture movies on their Xbox 360 hard drive, up to 100, so they could share their favorite movies and screenshots with their friends, as well as with the Bungie.net website. This really bumped up the community dramatically, with robust sharing that gave people something new to watch, whether it was a player delivering epic teabags (squatting over dead enemies) or pulling off near-miraculous plays. Even though Bungie has moved on to Destiny and 343 Industries has taken over the Halo franchise, many people still fondly remember Halo 3 as a huge turning point for the series, showing the developer’s intense dedication to the material and giving fans plenty to do in single and multiplayer. And although the sequels that followed were great, people still turn to Halo 3 to this very day. 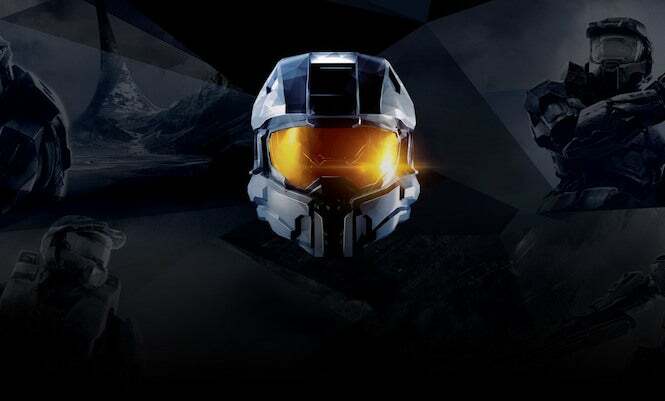 Many copies are still in circulation with gaming communities, and the game also got a touch-up with the 2014 release The Master Chief Collection, which also featured HD revisions of Halo, Halo 2, Halo 4 and Halo 3: ODST. However, some players were bummed with this release, mainly due to the malfunctioning multiplayer options. They were eventually fixed, and ODST was offered for free for the inconvenience, but many fans preferred the comfort of the original. Well, good news for you there. Microsoft recently made the original Halo games backwards compatible for the Xbox One, so you can return to Halo 3 if you want to. And if you don’t have a copy, you can hop over to GameStop and grab one for just a few bucks. Everybody wins! Slide 6/6 – Where Do We Go From Here? The truth is, Bungie is done with the Halo franchise. It remembers it fondly, but obviously it has its hands full with Activision’s new champion. Microsoft is sure to return to the series at some point, with Halo 6 just waiting to be announced, perhaps as soon as next year’s E3 event. But the legacy itself still holds true, and after ten years, Halo 3 is still a much-appreciated game. It rose to new heights just when it needed to, both in single player/co-op and multiplayer, and its additional content extended that fun further than most gamers intended. And it made 2007 that much more of a magical year in gaming, alongside other releases like Modern Warfare and BioShock, two more shooters that shocked the world. Thank you, Master Chief. We’ll be seeing you again real soon.